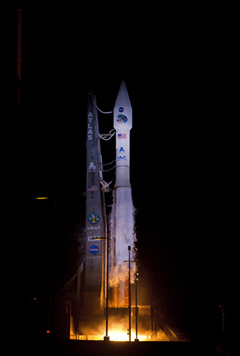 NASA's twin Van Allen Probes launched aboard an Atlas V rocket at 4:05 a.m. EDT, Aug. 30 2012, after a smooth countdown at Cape Canaveral Air Force Station in Florida. On March 26, 2014, NASA declared the Van Allen Probes mission – designed to explore and unlock the mysteries of Earth’s radiation belts – an official success. This certification comes just one year, six months, and 27 days into the two-year primary mission of the twin spacecraft, which orbit Earth roughly every nine hours. Beginning with the discovery of a transient third radiation belt just days after the Van Allen Probes launched from Cape Canaveral Air Force Station (Fla.) on August 30, 2012, the mission has produced many findings that are altering our knowledge of the belts and how they operate. 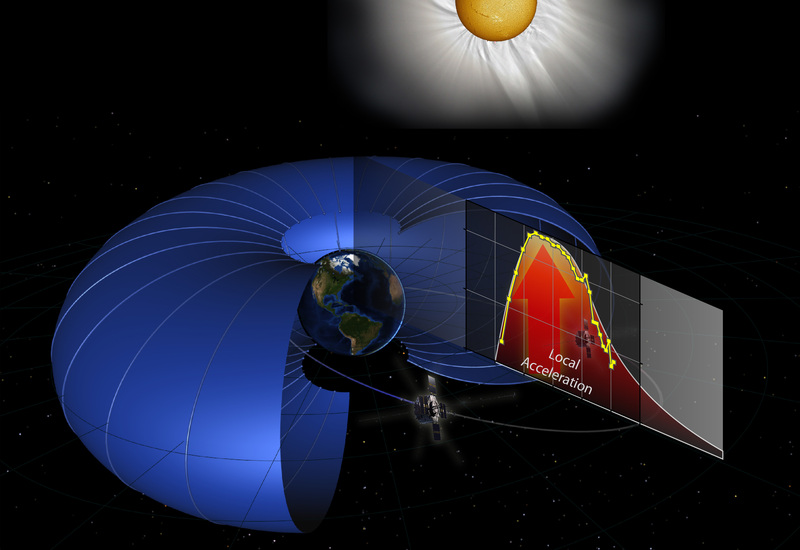 The spacecraft have revealed proven that electrons in the belt are undergoing strong local acceleration from very low frequency plasma waves, and not from an external force; discovered electric field transients called double layers that may energize the seed particle population that becomes the radiation belt population, provided data that can improve space weather models which can benefit space-based technologies and human spaceflight; and shown that persistent structures exist in the inner belt, which are caused by Earth’s rotation, a mechanism previously thought to be incapable of such an effect.